Brandon and Jerry discuss the impact that our unchecked emotional triggers in the world, in our relationships and in the workplace. Jerry’s heart sank on January 19 when his wife shared with him a news story about a group of high school students who taunted a Native American at the Lincoln Memorial. The students were reported wearing that famous red “Make America Great Again” hat. The short clip showed white teens surrounding a smaller group of Native Americans, and everything about that clip was infuriating. 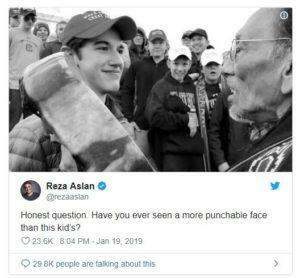 An image circulated across social media like wildfire showing a MAGA-hat-wearing young man smirking in the face of chanting and drumming Nathan Phillips. It didn’t take long for the Twitter-verse to become angry, speak its mind, and call for the worst to happen to these students and their families. 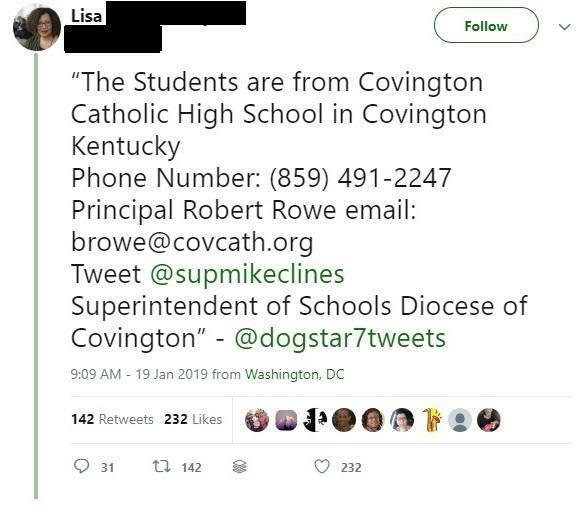 Outrage became calls to put pressure on the diocese in Kentucky and the superintendent of the school. People were calling for immediate action, and we mean at that moment, no due process. Celebrities like Kathy Griffin and GQ writer Nathaniel Friedman called for doxing of all the students involved. 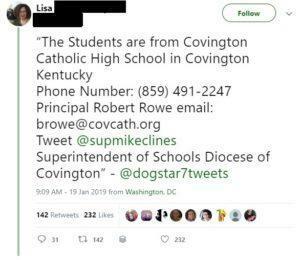 One of many people who called for the identities to be made public (doxing) of Covington Catholic High School students in the viral video. Grown adults calling for harm to come to teenagers?! Where have we come as a society? What were all the emotional triggers examples here? What were they all triggered by? Some say it was the red “MAGA” hat. It’s like the new white hood to many. Others saw it as a racial issue with racial lenses on. Others saw it as liberals versus conservatives. Whatever the triggers were one thing was certain. Things certainly escalated quickly, and we remain in a rut of staying in our own echo chambers. As the Twitter-frenzy continued, more video clips, longer video clips began to surface. The original reports turned out to be false. People still looked for reasons to be angry at the teenagers and attacked the fact they were in Washington, D.C. for the March for Life event. The conversation was all about making these students look like obnoxious racists. 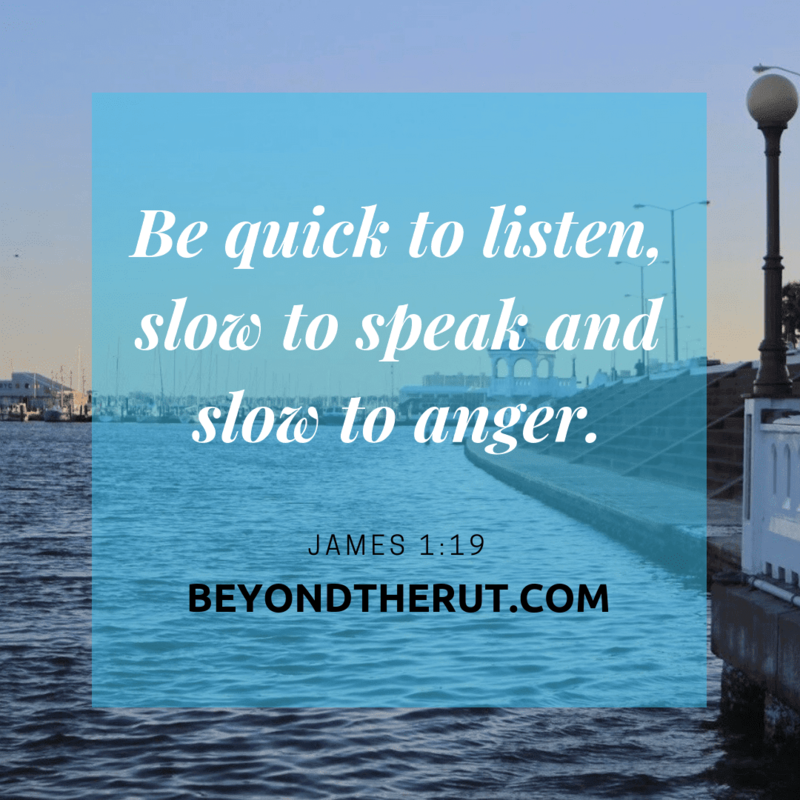 Great reminder regarding how to handle emotional triggers. We all have our pet peeves. We definitely have issues where we have deeply rooted passions for or against. Emotional triggers in the workplace for us can come from a phrase, a person, or an entire department. Imagine hearing about a viable solution to a problem that stumped your team. You find out that the idea came from Sue, and instantly it’s a bad idea in your mind. Why? You can’t stand Sue. Everything about her views flies in the face of what you believe. There’s no way she could have a good idea. Even if she did, you would never support it. This is how you know if you are following your emotions rather than logic and fact. Would you accept that same exact solution if it came from someone else, someone you liked? Would you even add to that solution to make it even better? Lacking self-awareness is a great way to isolate yourself from others at work. You are now the guy who goes off the deep-end when we need to collaborate. Your emotions betrayed you, and you’ve demonstrated an inability to build effective teams. Teamwork is all about having humility and working for a larger goal. Letting our emotional triggers rule our words and behaviors is like letting the ego take command and stomp on everyone around us. Only you can control you. Therefore, it is up to you to identify beforehand what it is that triggers you. What are the things that when presented to you cause you to lose your cool? These are the things that can cause you to let your emotions get the better of you. Take the time to jot these down in a journal, or on a piece of paper. You may feel your breathing pick up the pace, your heart is pounding. The increased blood flow is making you feel the heat of the moment. You’d rather yell your response than calmly speak it. Emotions are normal. You do not need to fear your emotions, but you do need to recognize there are appropriate times and ways to express them. 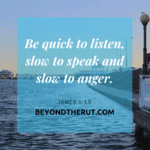 As soon as you feel the changes mentioned in Step 2, use it as your early warning system and quickly identify what it is in that moment that is causing the reaction. You may need to take a deep breath, or even ask that we all take a pause in the conversation so you can gather your thoughts. Hopefully, the exercise from Step 1 will help you with the “quickly” part of identifying what is happening. Once you know what you are dealing with, you can determine if the threat you are facing is real or not. Remember, the point of this process is to NOT go off the deep-end, so do not use this step as a rationale to continue with bad behavior because you determined Sue is a “bleeding-heart liberal” and I can’t stand them. We’re mainly talking about emotional triggers in the workplace right now, so consider what emotions and behaviors are appropriate for a team setting, the task or mission at-hand, etc. Chances are the person who has triggered your emotions is not actively trying to do so. Are you taking things too personally? How do you reasonably expect someone else who is as self-centered as you are to constantly be in your head to know your perspective? The truth is you can’t expect that. It’s unreasonable. This is your chance in the process to get reasonable. This isn’t just for yogis or Vulcans. Actually, Vulcans attempted to remove all emotional expression and suppressed them. The Jedi did the same. Yes, these are fictional groups of people. That’s probably something to keep in mind as well. We are not saying have no emotion, because you are human after all, just have some control over them when needed. Jerry claims to do something like this even before reading the article linked above, but his family will tell you though it doesn’t always work. Hey, there can be emotional triggers in relationships, too, so maybe he needs to try this at home as much as he does at work. Subscribe on iTunes (Apple Podcasts), Spotify, Stitcher,or iHeartRadio and never miss an episode.